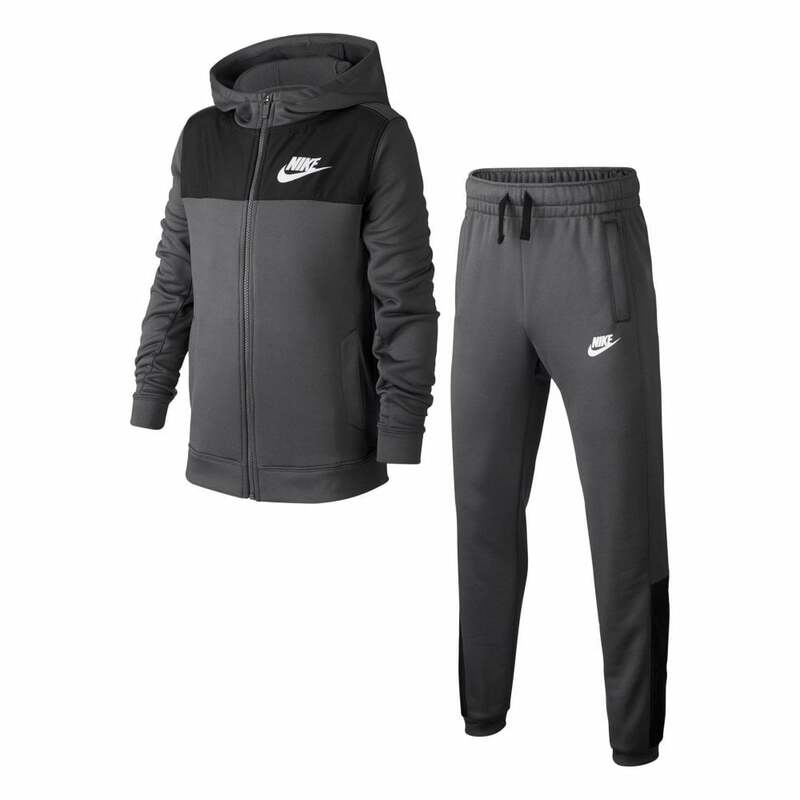 This Nike Sportswear AV15 Full Track Suit is a two piece set consisting of a Hooded Sweatshirt Top and Jogging Bottoms. The Sweatshirt Top is a 100% polyester and is grey in colour. It is hooded with a full zip fastening and has long sleeves. It has open pockets on the side. Nike branding appears printed on the chest area in white. The Jogging Bottoms are also 100% polyester and are grey in colour. It has open pockets on the sides. They have ankle cuffs and an elasticated waistband with a thick drawstring. Nike Air branding appears printed on the leg in white.